1. the seemingly live DISARM tracks (it takes a few seconds for the person at the mixing board to get the levels right, but once they do it's devastating! Those vocals!). 2. The single track by INJEKTION is insanely catchy, but I mostly love it for the maniacal laughter at the end. 3. 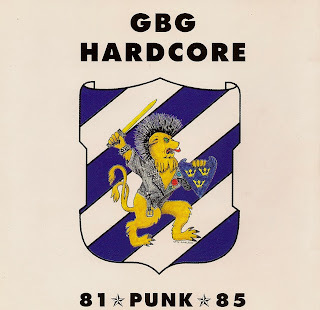 Three perfect crude blasts from youngsters NISSES NOTTER, especially the burp that kicks off "Pissefjong." 4. The tuneful TROUBLMAKERS tracks with undeniable swagger and unforgettable choruses! this is file is set to private? 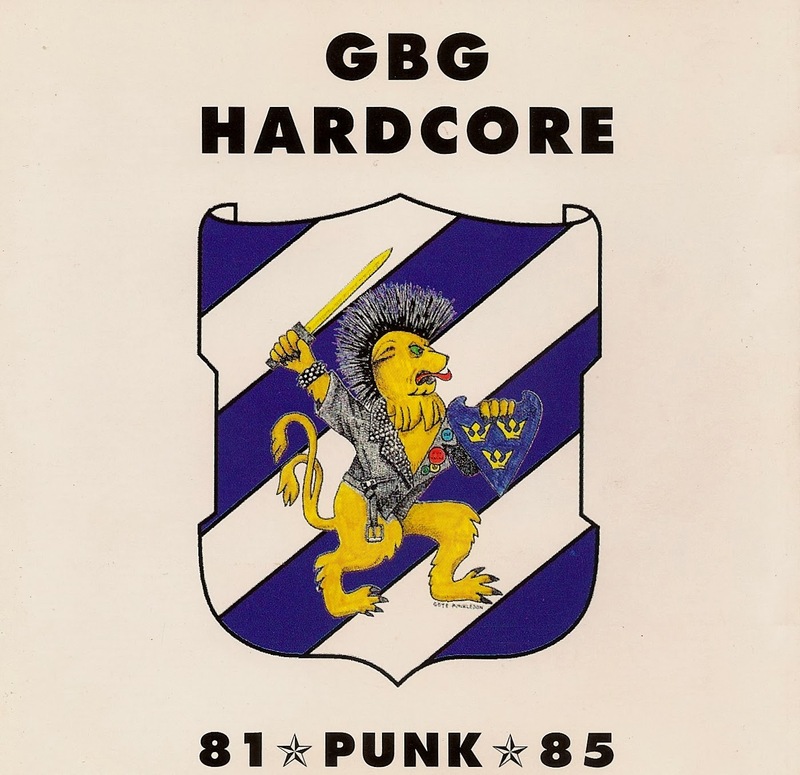 This is a great CD that actually introduced me to some bands. 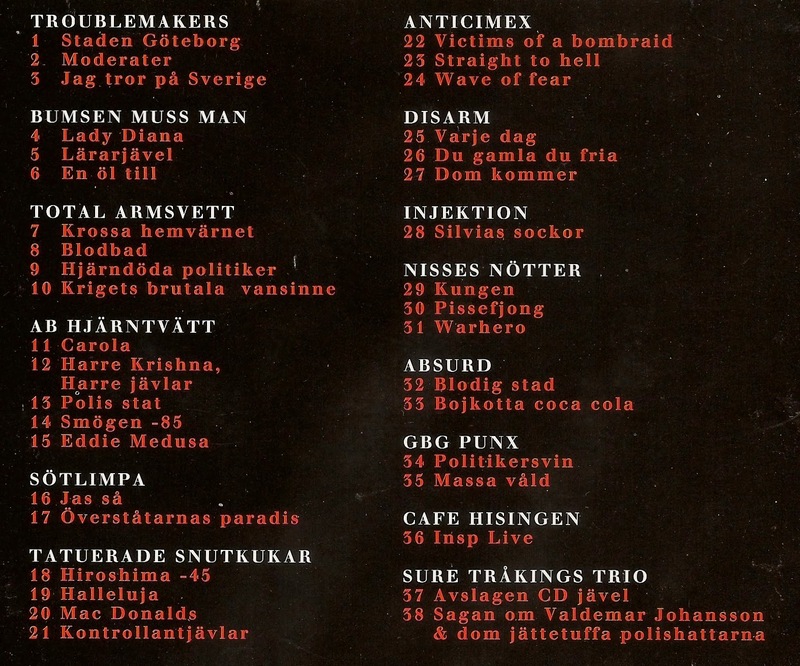 The Troublemakers "Staden Goteborg" became a mix tape staple for me. There's a cool collection LP on Hoehnie records with more recent ('90s) recordings that is worth picking up. 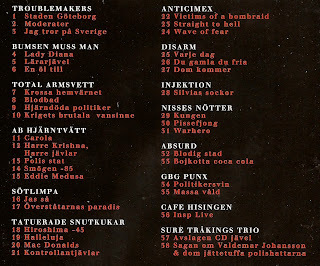 There was also a triple CD set of Swedish HC from the same label that has a lot of rare and unrel. material.